Firefighters Rescue Man Trapped In Restaurant's Grease Vent After He Was Stuck There For Two Days ???? 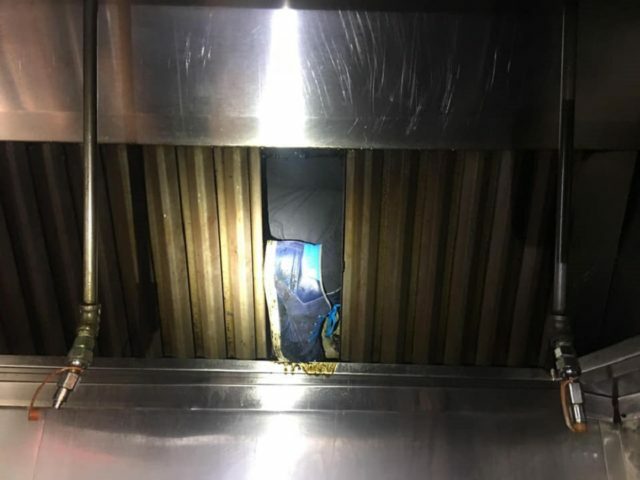 Firefighters Rescue Man Trapped In Restaurant’s Grease Vent After He Was Stuck There For Two Days ???? A man covered in grease has been rescued by police from a restaurant vent after being stuck there for two days. Officers found the grease-covered man stuck inside the metal vent of the vacant building, said Sergeant Ray Kelly. After almost an hour, firefighters were able to rescue the 29-year-old, who was said to be “physically exhausted and suffering from dehydration” as a result of the ordeal. (Alameda County Sheriff’s Office)It is not yet known why the man was in the vent. Sgt Kelly said the man was being investigated for trespassing and vandalism, adding it was unclear if he had been attempting a burglary at the abandoned restaurant. The man was taken to hospital, with Sgt Kelly adding that a decision will be made later on whether to seek a prosecution. While everyone was undoubtedly grateful that the man escaped serious injury or death, Twitter couldn’t let the opportunity for jokes slip away. Sounds like a real slippery character to me. I know it’s no joke but it is pretty hilarious. He's now escaped after giving the police the slip. Though some were laughing, others were confused. WTF? Criminal “genius” at work? While the man survived the ordeal, it remains to be seen if his pores will be as lucky.